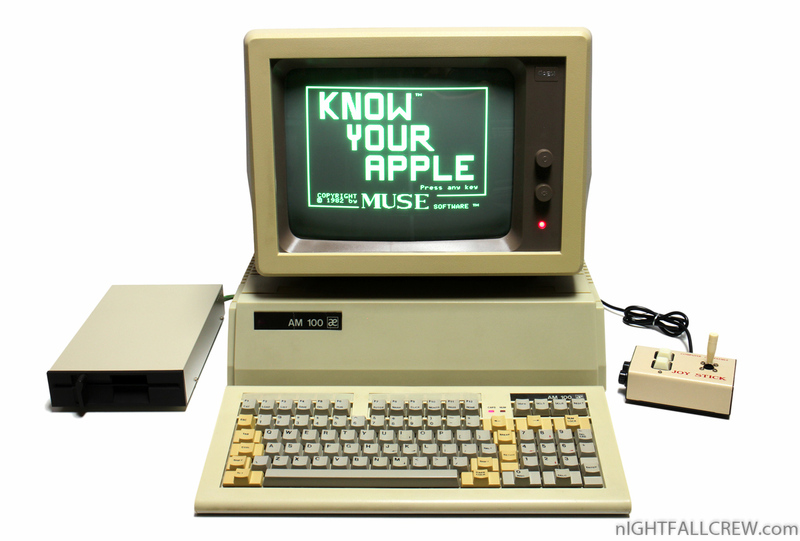 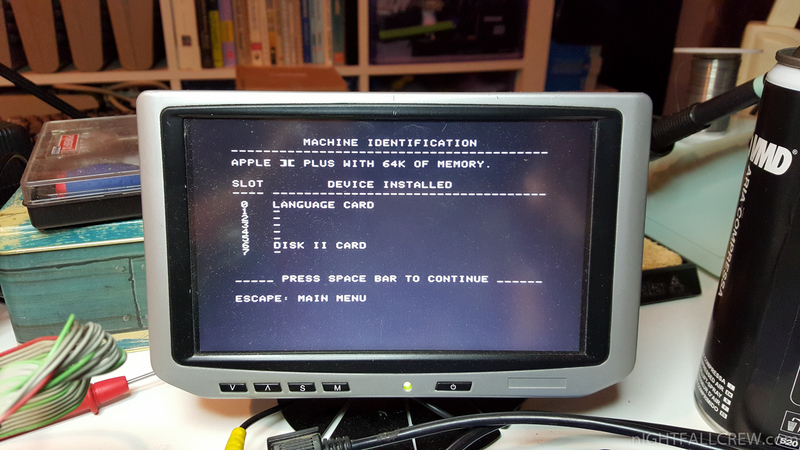 The Home Computer Asem AM 100 is a clone of the Apple II+ (Apple // Plus). 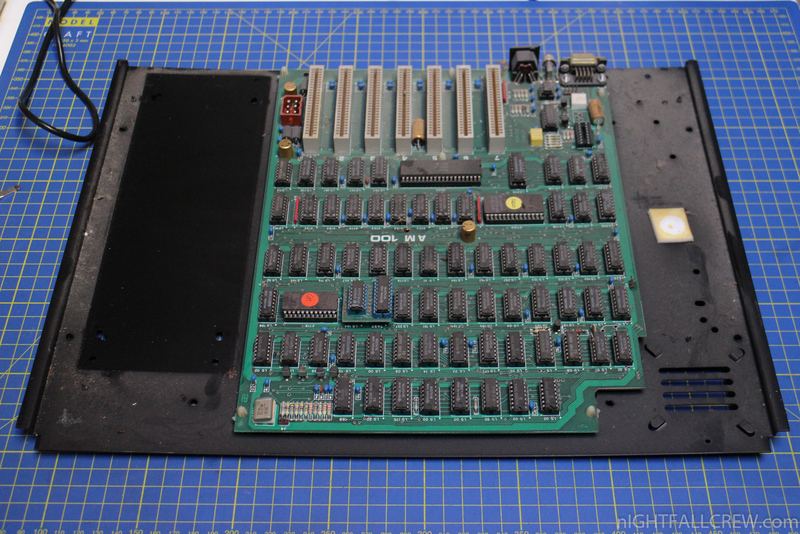 This computer was manufactured and assembled by ASEM S.p.A. Artegna (UD) / Italy. 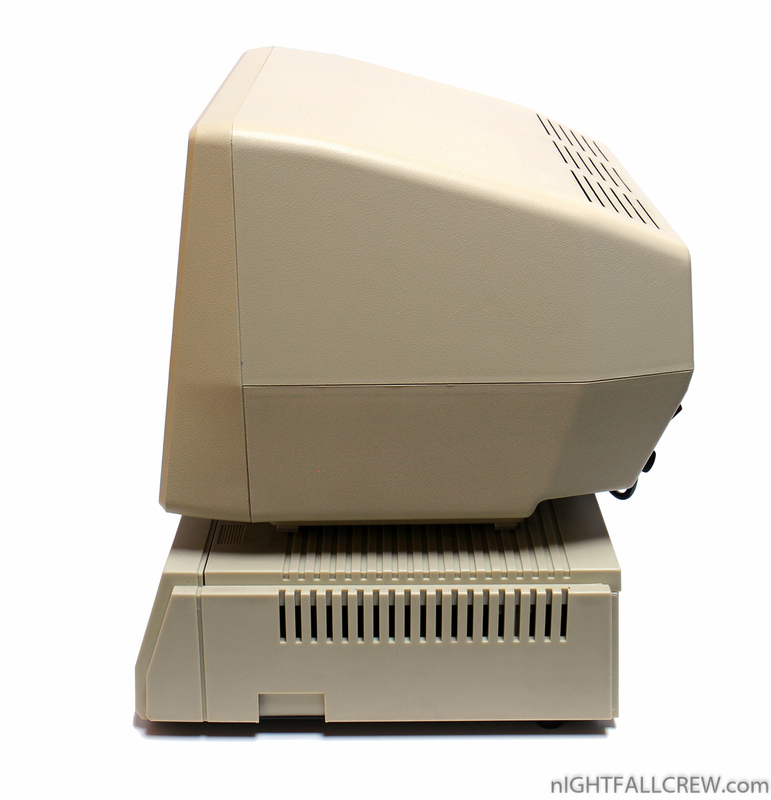 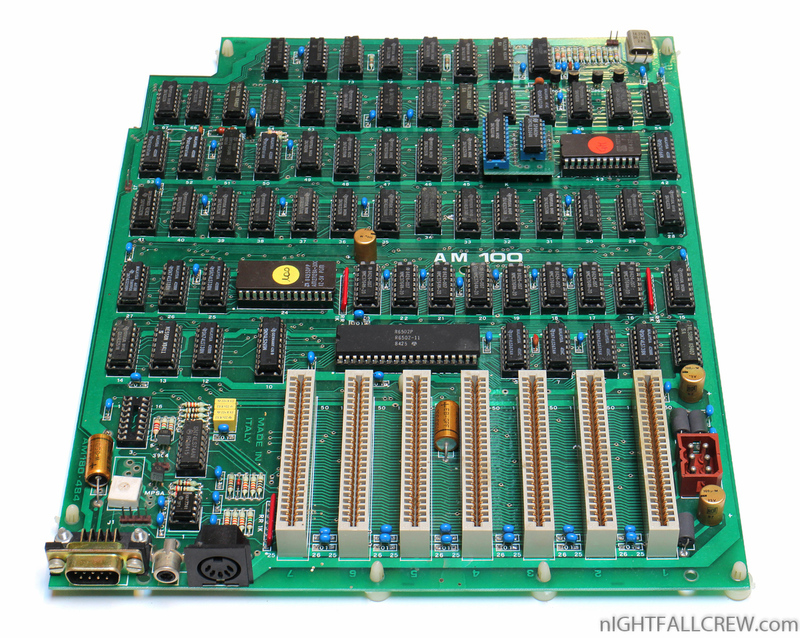 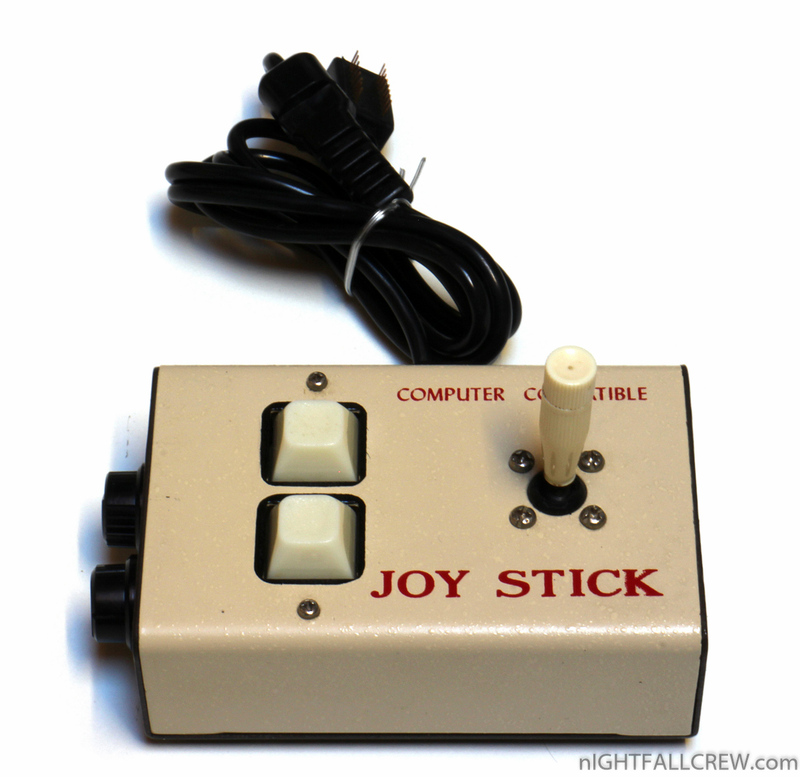 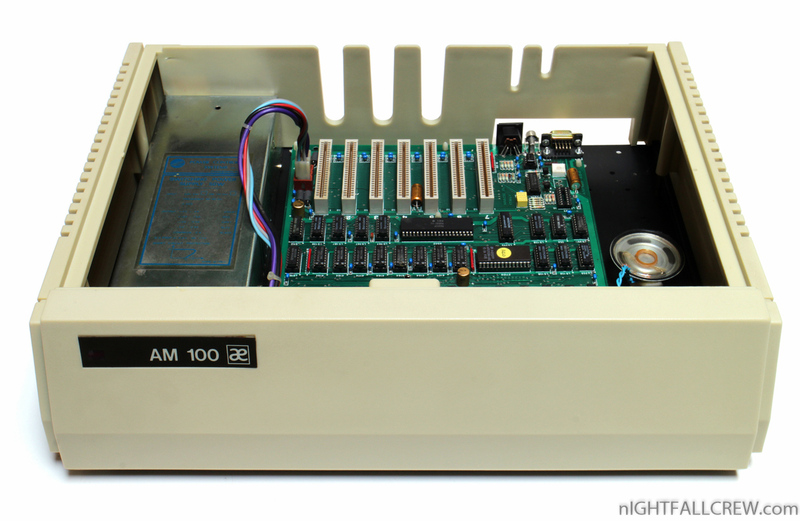 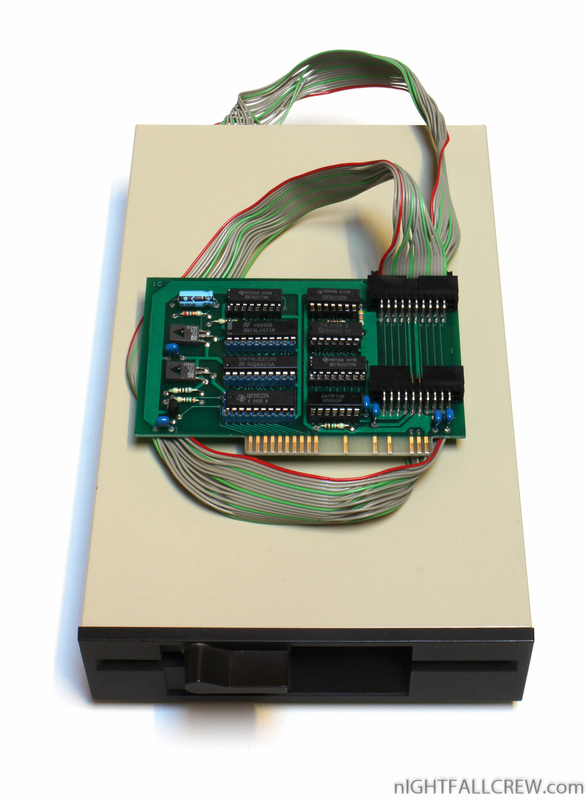 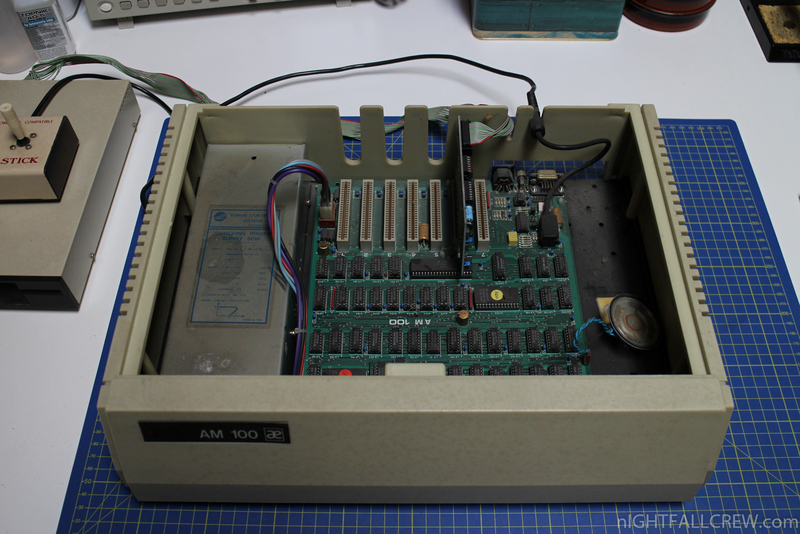 The AM 100 is fully compatible with all the software available for the Apple II and II+. 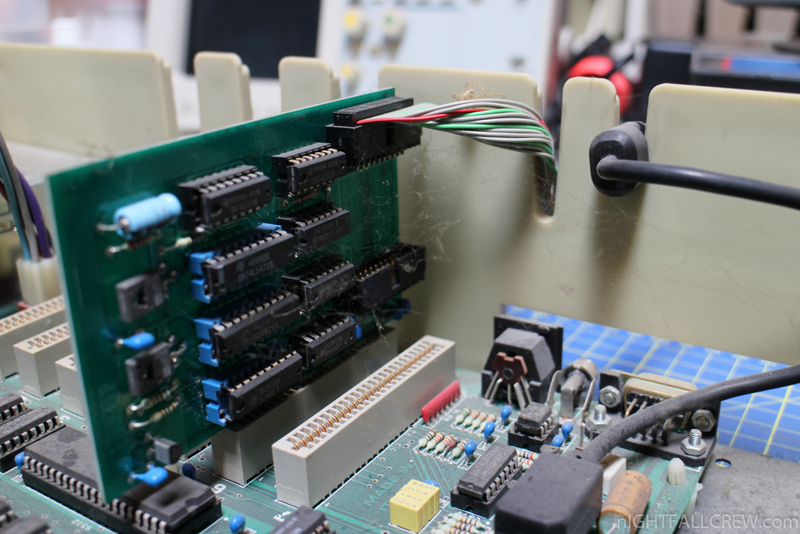 I have personally tested many programs and i’ve never found problems of compatibility. 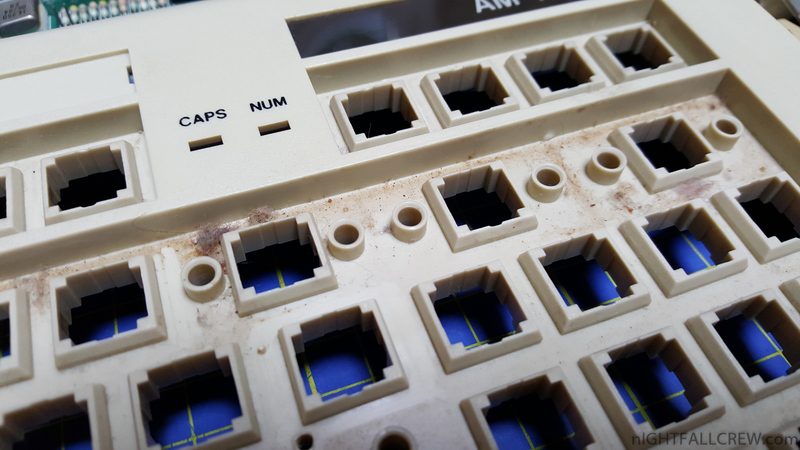 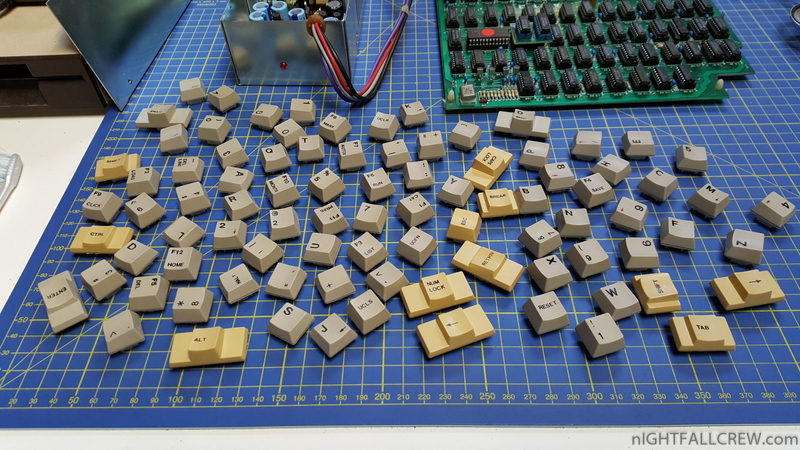 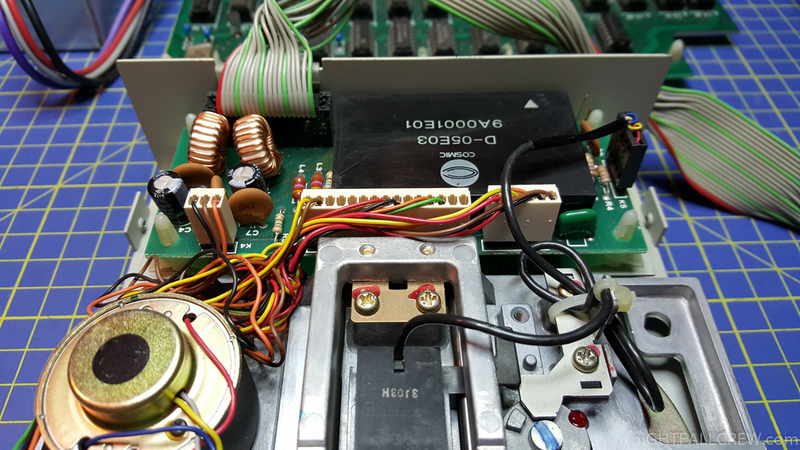 Unfortunately this computer is arrived faulty, the repair was more simple than i expected, thanks to the IC sockets located on the computer motherboard. 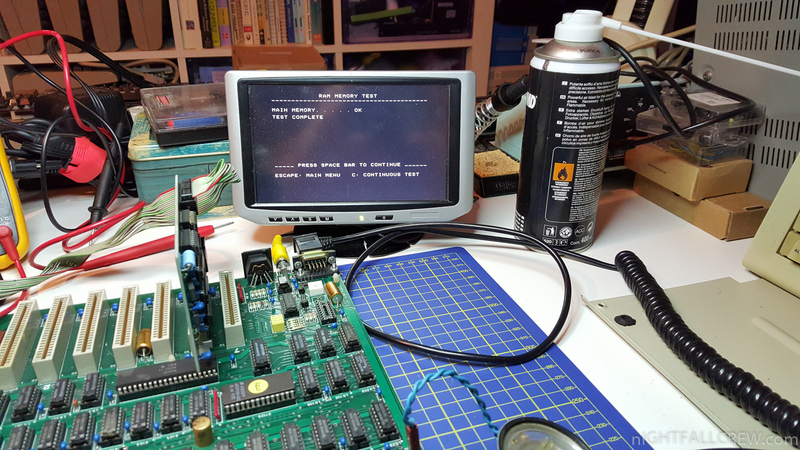 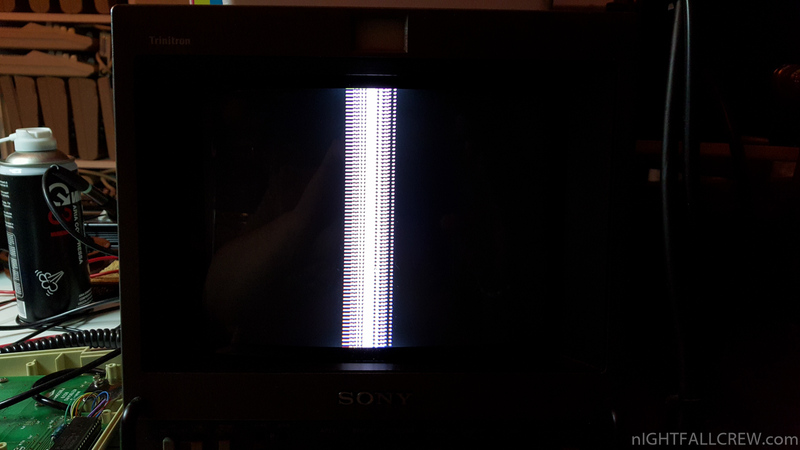 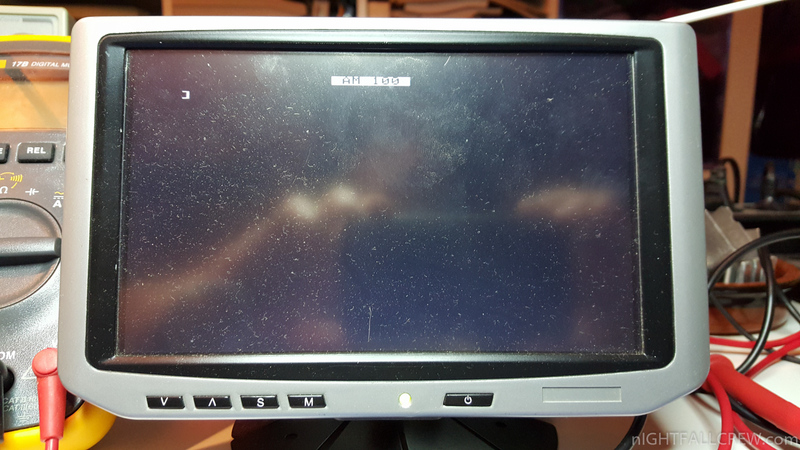 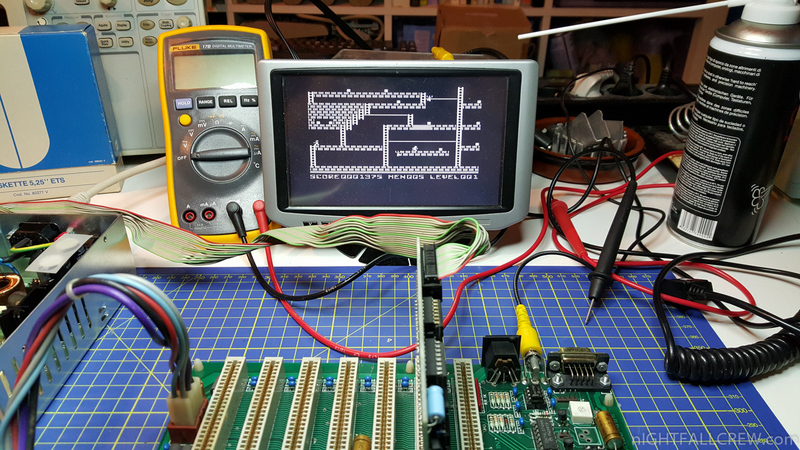 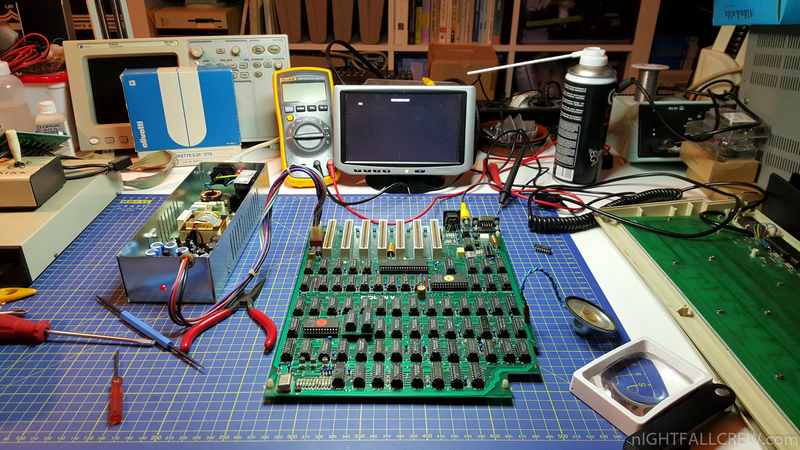 Replacing IC 74LS161 which shows a vertical band on the screen. 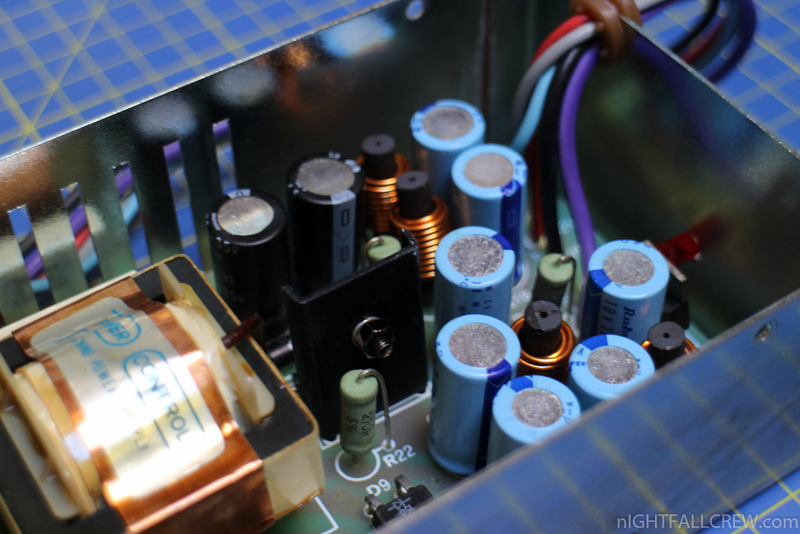 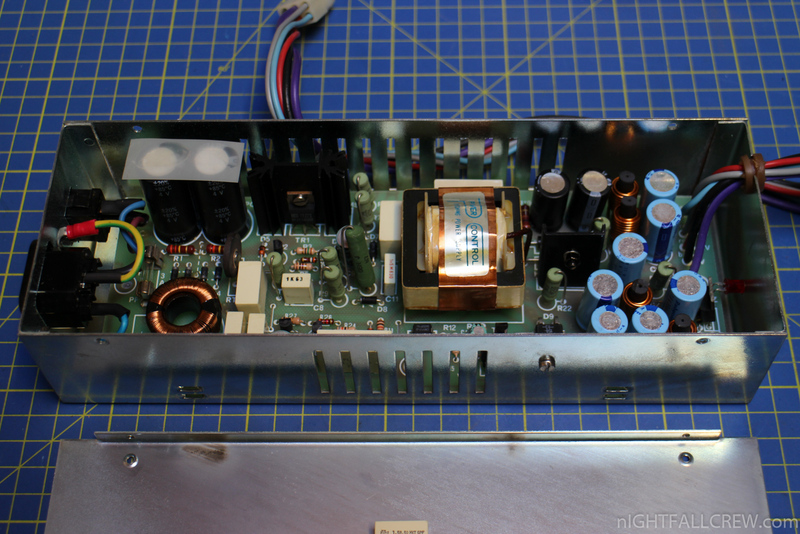 Removing RIFA filter capacitor located inside the PSU. 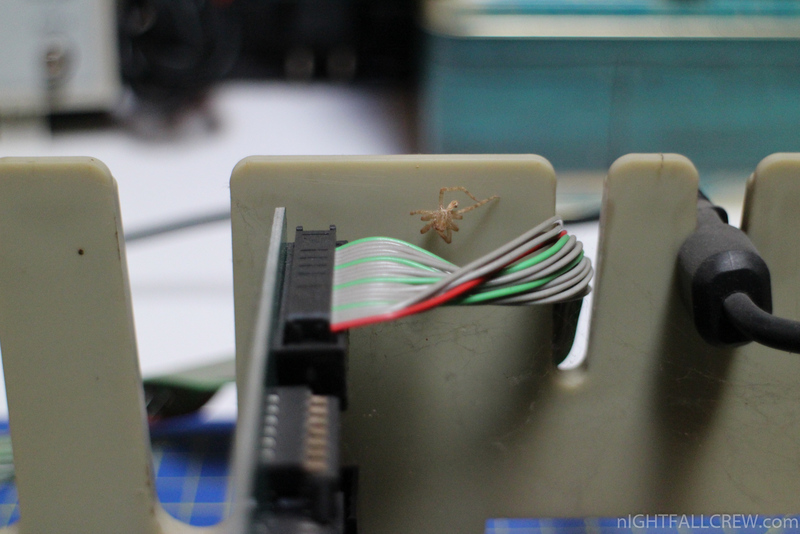 General cleaning of the case outside/inside, monitor and keyboard. 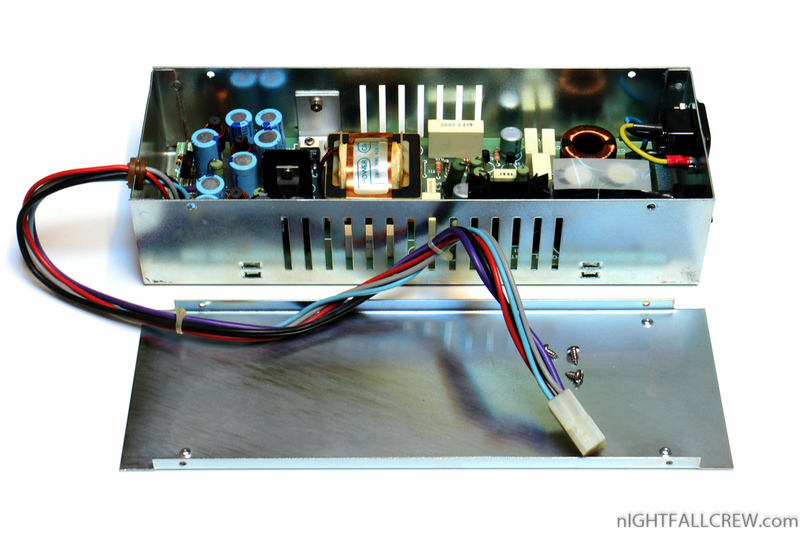 All these works are documented with photos that you can find below. 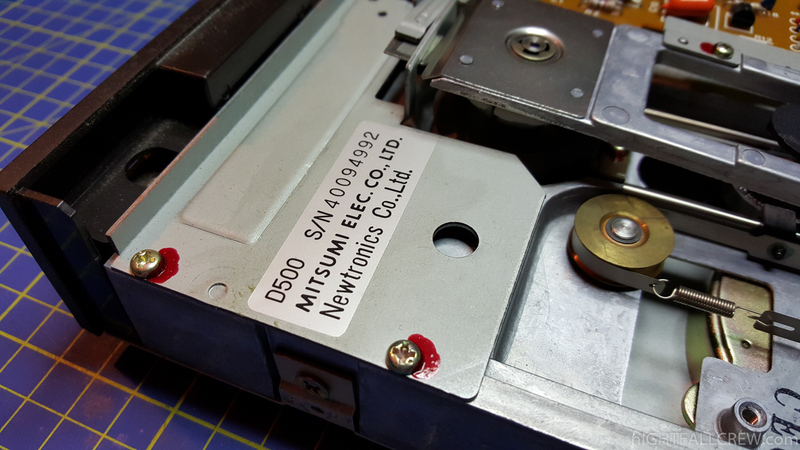 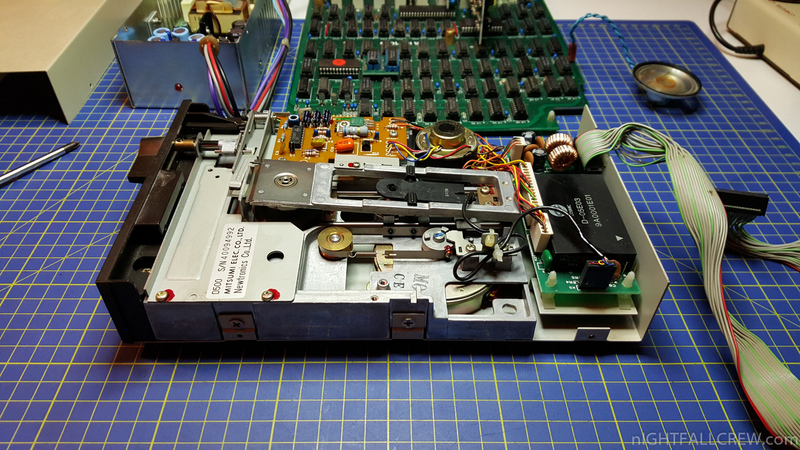 Inside the Floppy Drive reader (Apple clone) i have found the same mechanics (Mistumi / Newtronics) of the Commodore Floppy Drive 1541. 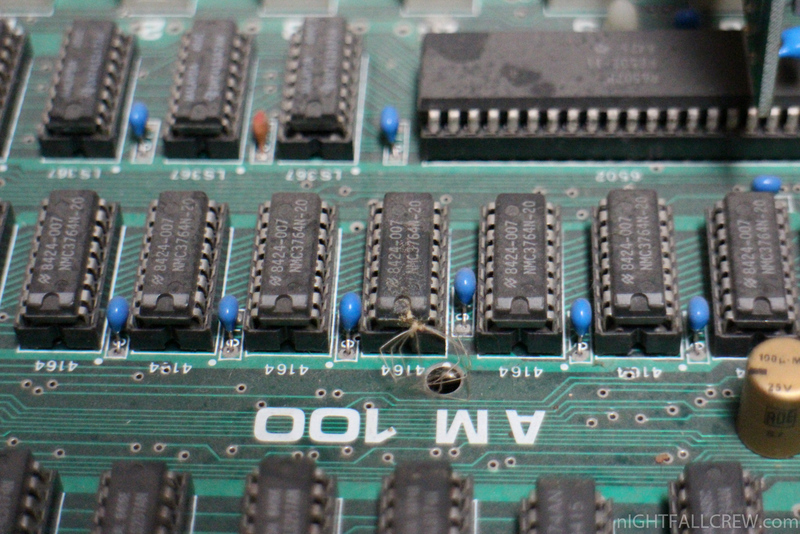 See the first three pictures of the gallery: Under the cover. 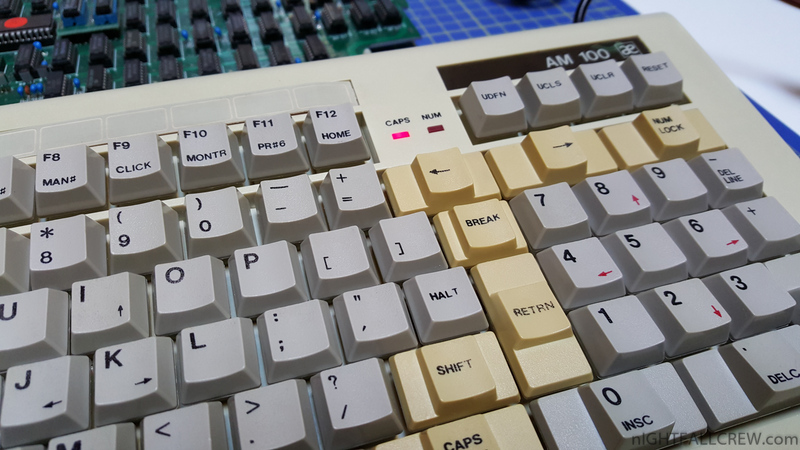 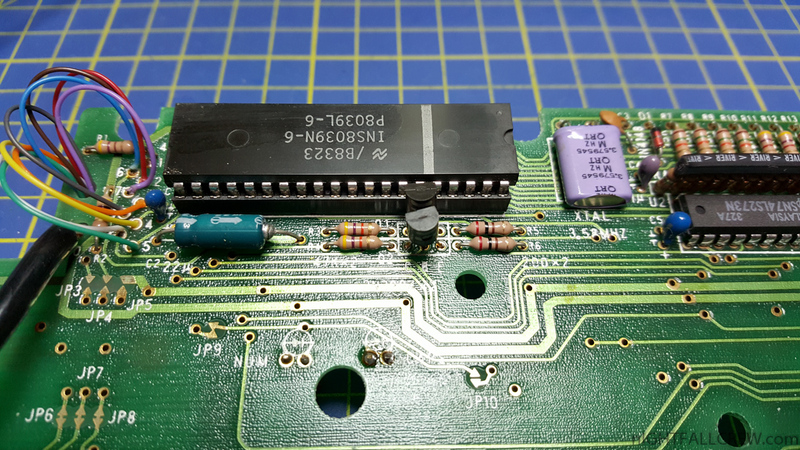 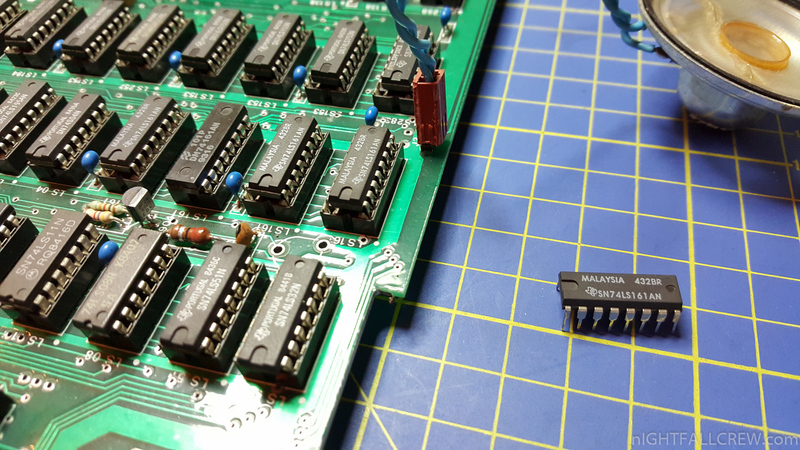 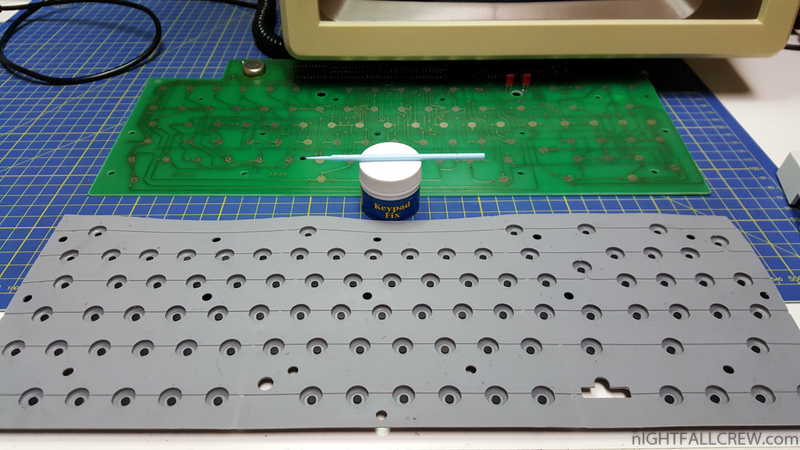 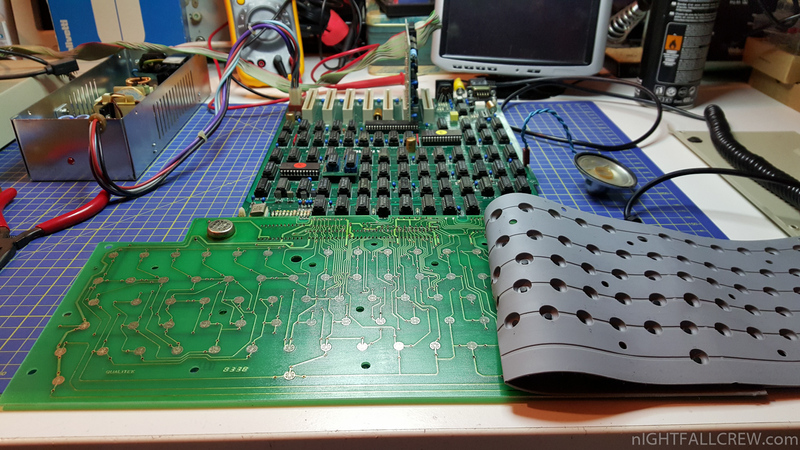 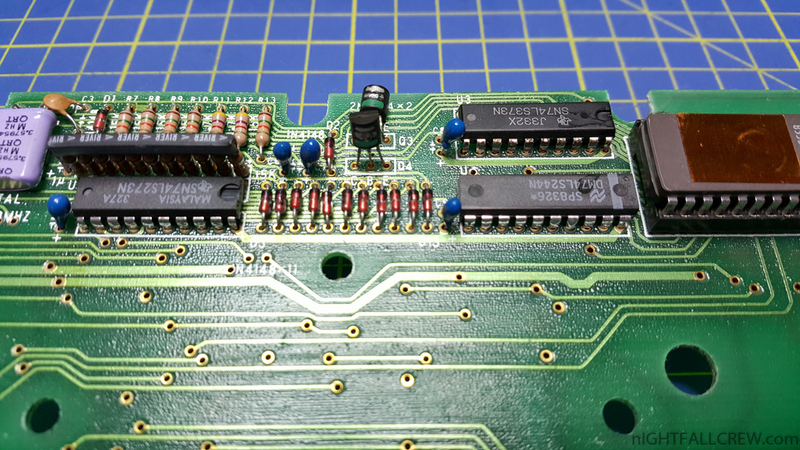 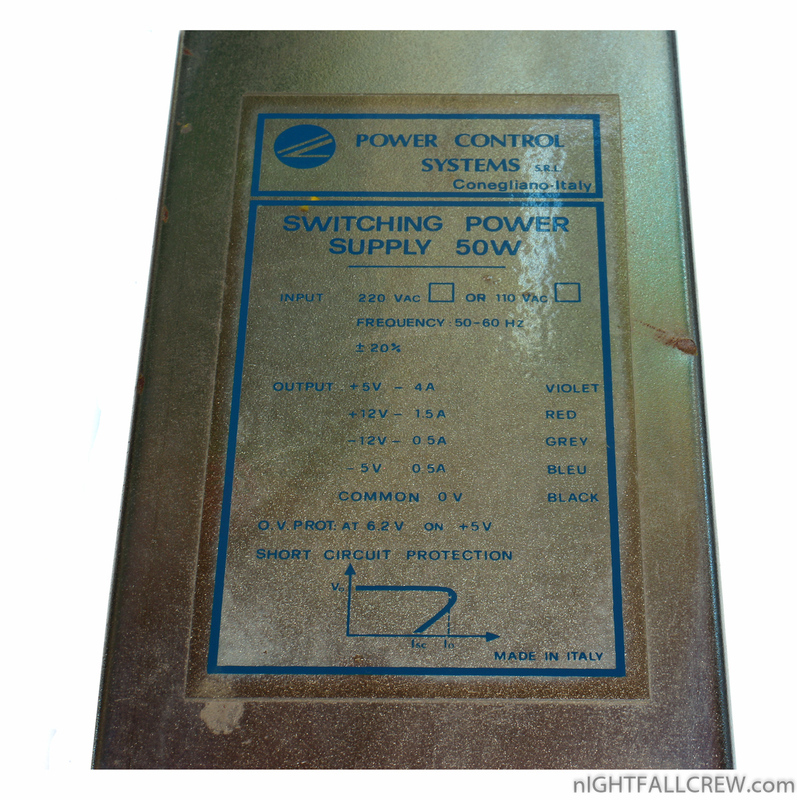 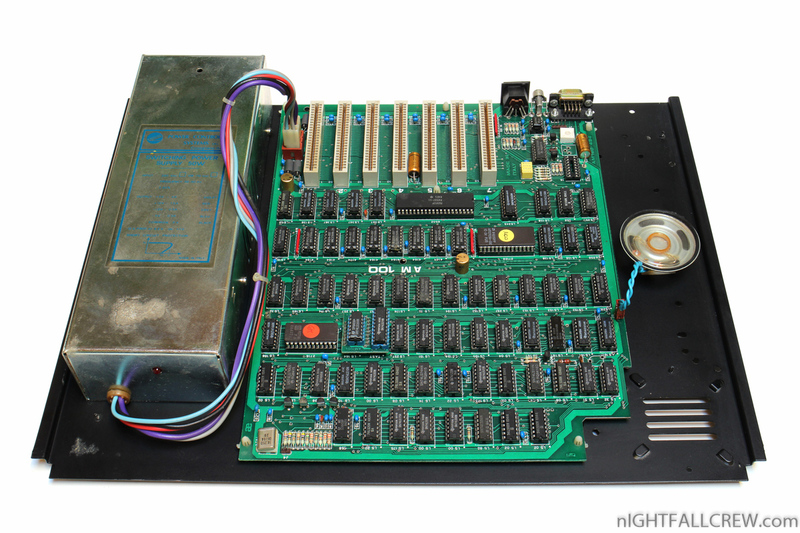 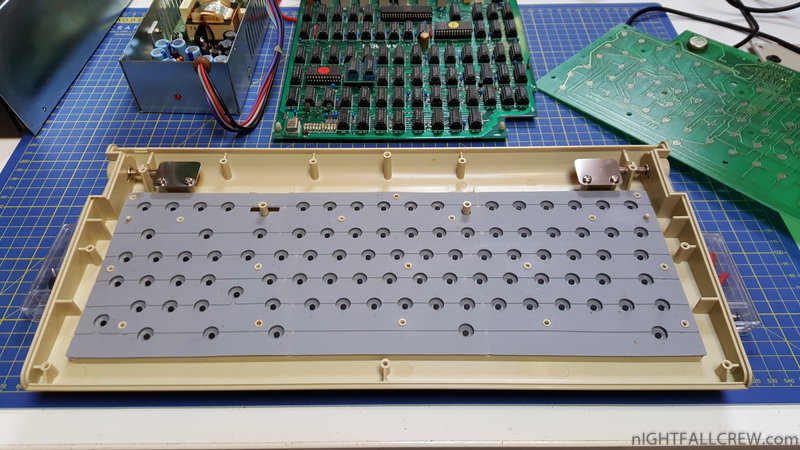 xAD / nIGHTFALL on Toshiba HX-10 64k (MSX) Keyboard PAD Fix. 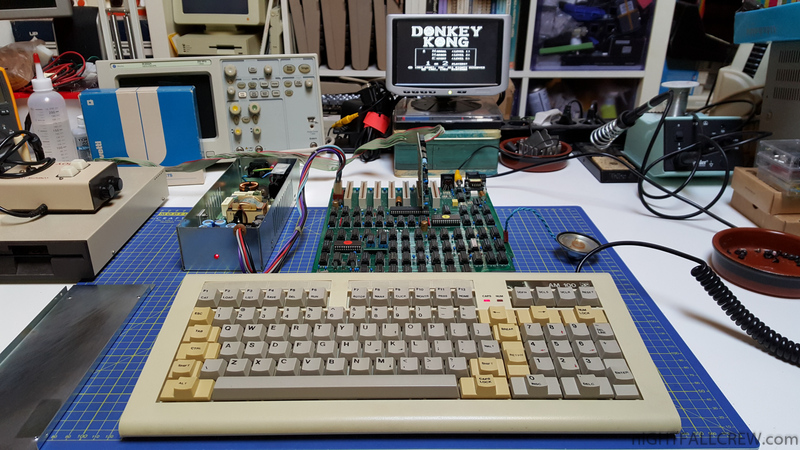 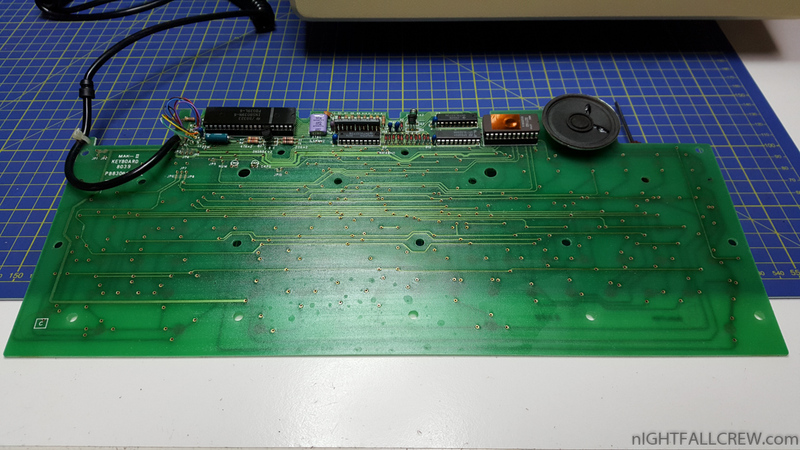 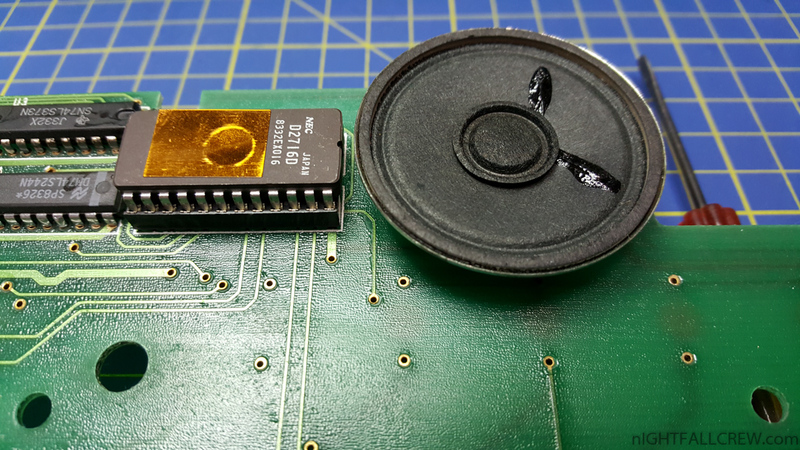 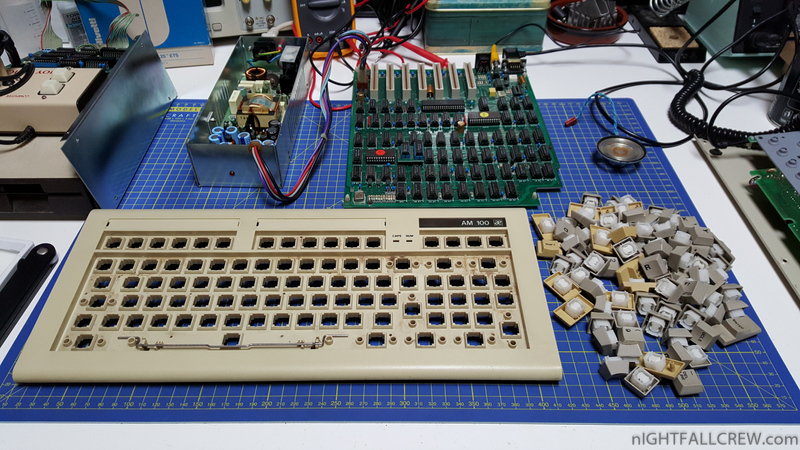 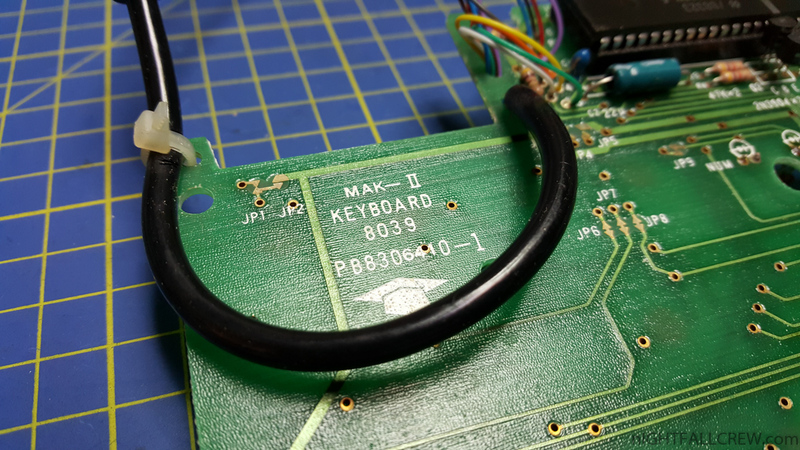 Nicola on Toshiba HX-10 64k (MSX) Keyboard PAD Fix.